Freshers Walk-in For Software Developer at "Raja Software Labs"
This is a hands-on developer position. The successful candidate has a strong technical ability, loves writing and debugging code, good communication skills, and likes working on consumer facing products. No eligibility criteria. No active backlog. Strong programming skills in any object oriented language (Java, Swift, Objective-C, C#, C/C++) in desktop, server, or mobile environments. Experience with mobile development and familiarity with Android Studio, XCode is a plus. Experience shipping prior applications are a big plus. 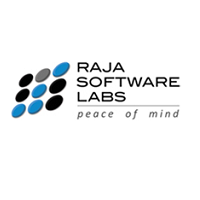 0 on: " Freshers Walk-in For Software Developer at "Raja Software Labs" "